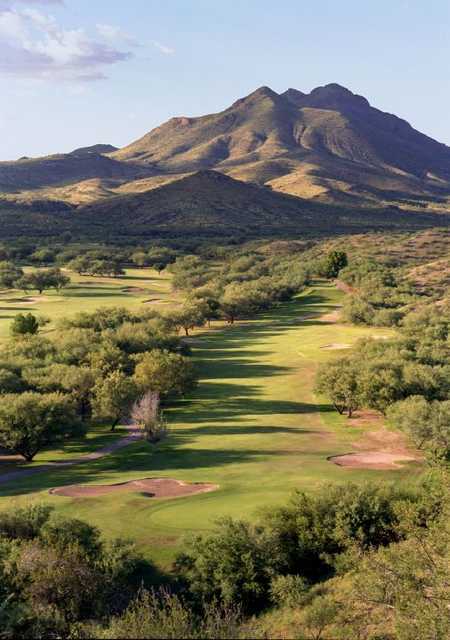 Tucked away in the Santa Cruz River Valley, Rio Rico Golf Club tumbles across a variety of terrain that ranges from hilly to flat. 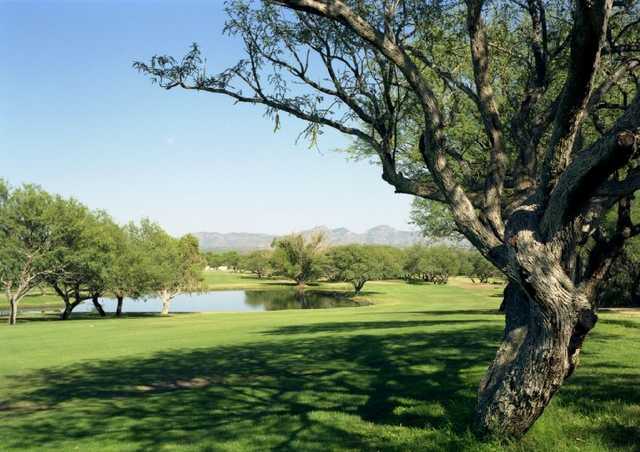 Robert Trent Jones, Sr. designed the course in 1975 and it has since matured into one of southern Arizona's finest layouts. The traditional layout features some of Jones signature elements including greenside bunkers and subtle but challenging contours. 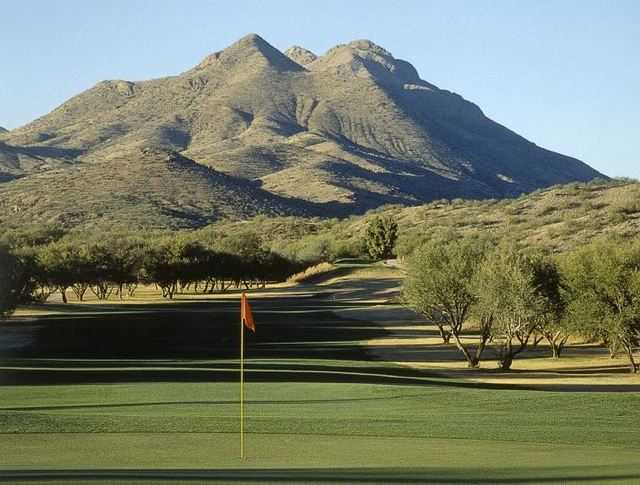 Tucked away in the Santa Cruz River Valley, Rio Rico Golf Club tumbles across a variety of terrain that ranges from hilly to flat. 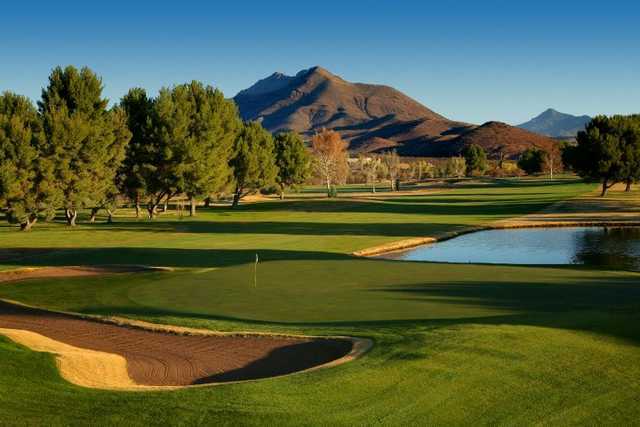 Robert Trent Jones, Sr. designed the course in 1975 and it has since matured into one of southern Arizona's finest layouts. The traditional layout features some of Jones signature elements including greenside bunkers and subtle but challenging contours. The golf course sprawls across a stunning landscape, beginning on a river flood plane and then rolling into the Cayetano hills. Pines, willows, and poplars line the fairways and water hazards come into play on six holes. The first four holes provide a gentle start but the golf course becomes progressively more challenging with a variety of interesting risk-reward opportunities. The fifth through the eighth holes are considered one of the finest four-hole stretches in the state. Overall good course. Not your high end beauty with all the flowers, concrete pathways, and manicured roughs. Nice greens, and a nice layout, plus enough water, sand and hazards to make things interesting. Would love to see a larger pro shop and restaurant, being so far out in the middle of nowhere. We keep returning while staying on vacation in Tucson, so it must be worth the trip south. Well Designed course, and for the money a reasonable, fun, round of golf. The course conditions are fair, I suspect the maintenance budget is a little low. Greens would be really nice if our fellow golfers would repair their ball marks. Other than that the staff was super friendly, and the round was nice with a laid back feel.